will the mid-term review of the 10th five-year plan mark its end? Or will it be used to make the rest of the plan push towards the implementation of the United Progressive Alliance's (upa) common minimum programme (cmp)? Before the more than 350 experts review the 10th plan, the process has got immersed in a controversy. While bureaucrats and advisors in the Planning Commission strongly resist the move to abandon the plan mid-way, the government seems adamant about tuning it according to the cmp. The Union government announced the review in August 2004. The Commission's new members, appointed after the formation of the upa government, claim it is a process of prioritising within the five-year plan and not of disbanding it. The government has already formed 21 committees to conduct the review. The review report would be made ready by December 2004 and debated in the National Development Council meeting in January 2005. "There is a tug of war between the new members and the Commission's consultants and staff," says a consultant, who does not want to be named. But Kirit S Parikh, a member of the Commission, disagrees: "We all agree with the cmp. I don't see any pressure tactics from the government." The Commission's bureaucrats believe readjustments in the five-year plan would be a waste of the time and money spent in the past two-and-a-half years. But new members feel it is necessary, given the upa's philosophy of liberalisation with a human face. 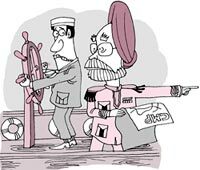 Speculations about the 10th plan being totally disbanded were rife ever since the upa government took over in May 2004. Consultants and advisors claim they resisted moves to redraft the plan in at least six meetings held after new members were appointed. "That time the issue was to resist any move to abandon the plan right away but later the mid-term review popped up as a way to push the new government's programmes," says an advisor. The writing on the wall On its part, the government has given several indications of reorientation. The most definite of these came when on September 4, 2004, prime minister Manmohan Singh declared before the media: "Next week I will be chairing a full meeting of the Planning Commission where a concrete shape will be given to the implementation of many assurances given in the national cmp." On August 16, 2004, the Commission's deputy chairperson, Montek Singh Ahluwalia, said: "The new government has clearly indicated its priorities. The review will see what can be done in the remaining two-and-a-half years of the current plan to achieve cmp objectives." Besides, the Commission has got its largest ever budgetary allocation of Rs 10,000 crore for implementing various schemes under the cmp. This might also require a total reworking of the plan. Earlier, on July 24, 2004, Union finance minister, P Chidambaram, had directed the Commission's members and officials to "rearrange priorities" and advise the government about making centrally sponsored schemes more effective. "The Planning Commission is engaged in the exercise of rearranging the priorities and allocating the additional Rs 10,000 crore that have been provided in the budget," Chidambaram said after a meeting with the Commision's officials. If the 10th plan is reworked, this would be the first time a mid-term review is used for substantially reframing a five-year plan. In 1978, the Janata Party government had terminated the fifth five-year plan (1974-79) of the previous Congress government. In 1980, the Congress government changed the sixth five-year plan (1978-83) of the Janata Party government. The review is being monitored directly by the prime minister's office, which has directed all ministries to facilitate the process. The 21 committees would examine the Commission's internal evaluation of programmes. Experts believe the review would focus on agriculture, employment generation and food security programmes. The briefing is clear: stress on 'schemes in need of greater focus' (see box: Task at hand).